Our house is, to say the least, crowded. I started this blog as a way to track all of the chaos that is a house full of animals, though I know that it may change along the way. Check out my bio and Mike’s for more information about us, but for now, let me tell you about our lil pets. 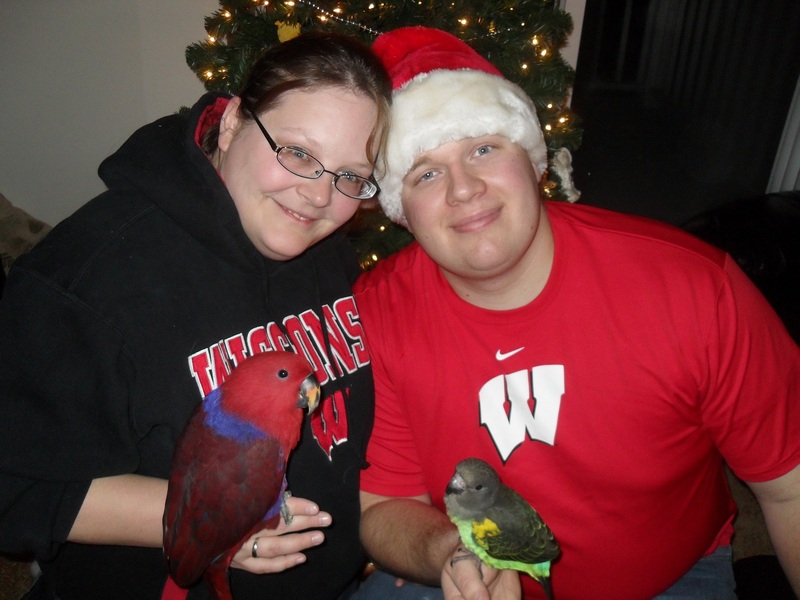 When we moved in together, in October of 2009, we each came with pets of our own. I had been living on my own since my divorce and had two cats, Sweetness and Beau. Sweetness is a black short-haired female and Beau was a short-haired orange tabby. Mike had two reptiles and a ten gallon fish tank. Kiwi is a female leopard gecko and Clyde is a small amelanistic corn snake. Since then our family has continued to grow, but we have suffered our loses. First, we came together to purchase our 55 gallon fish tank. Currently, it houses around thirty fish and I’ll post about the particular diversity soon. The next stage was sad. In September of 2009, just before we officially were co-habitating, my cat Beau was playing in the yard and never returned. He and Sweetness were both indoor/outdoor cats and had been for years. For some reason or another, he didn’t come back that night. We searched the neighborhood and put up signs for months but never heard from him again. Carlos, our guinea pig, joined our family a few months after that. He has since become the fattest pet in the house, nearly out weighing our much smaller cats. In February, while making our weekly trip to the humane society to check for news on Beau, Mike and I started a discussion about adding another cat. I love cats and missed having a young kitten running around the house, since Sweetness just slept all the time. We searched several animal shelters in our area and found Stella. She was a pretty, little Siamese kitten and purred wonderfully when we held her. She came home with us two days later. 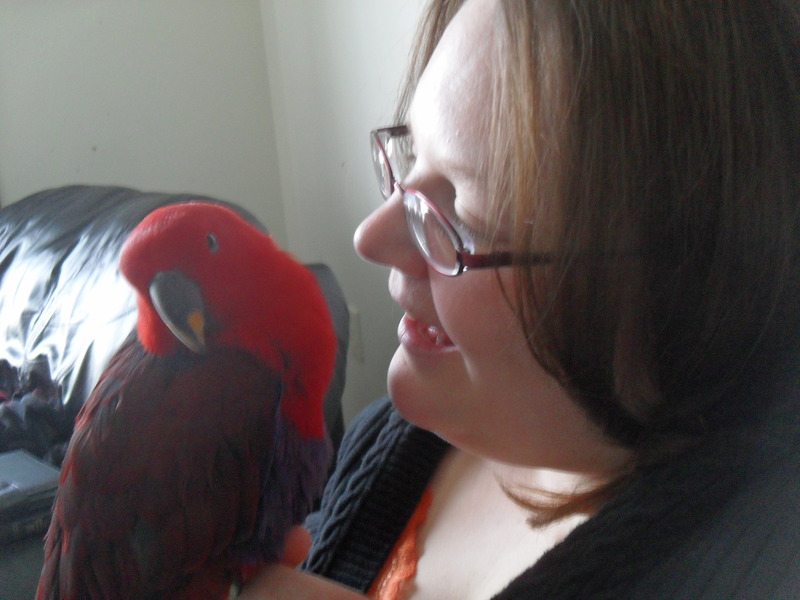 The next addition to our house was Ruby, our female Eclectus parrot. She was a purchase that we made at a bird fair in Oak Creek in April of 2010. She’s quite the clown and has been an incredible addition to our house. My parents moved to a different home this fall and were unable to take care of their little lovebird, Pickle. So she came home with us in the hopes that my parents would be in a better position soon. We’ll see. Finally, Plato is our Meyer’s parrot that we found at a bird fair in Madison in November of 2010. Plato is a monster, in every sense of the word. He’s very sweet and loves his daddy but also wants to dominate everyone in the entire house. So that’s us. We’re full, to be sure, but we love it.